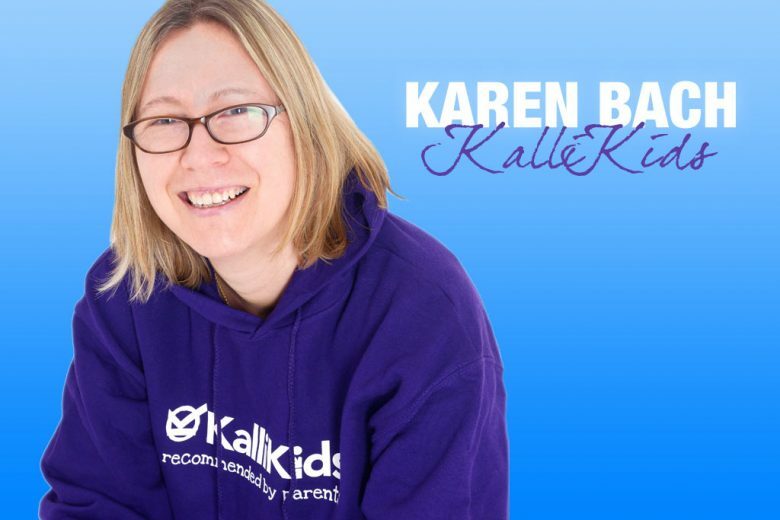 Just over two years ago, Karen Bach gave up a high-flying city job to launch KalliKids, the UK’s only accredited children’s activities service. Find out why Karen is leading the way in helping parents find activity providers they can trust. I used to be in a suit, commuting to London every day or flying around the world. I was a CFO (Finance Director) for 10 years or so in three tech-sector businesses, listed on the stock exchange. Two of those three businesses were software (programmes that we have probably all been supported by as they ran GP surgeries and helped delivery parcels around the round) and the third was a datacenter company: big huge warehouses of computers! The likes of Google and IBM were our customers. Over time I became more and more commercially minded and more entrepreneurial. I was frustrated with big company politics. How did your career change once you had children? When we had our first baby, I was back to work 12 weeks later and she was full time in a nursery – 12 hours a day! This was a struggle as my husband was often working in France and I was still commuting to London. So when she was a bit off colour, I’d get the call and would have to drop everything and make the 90-minute journey back to pick her up. At the time there were no children’s nurseries in Haywards Heath where we lived so she actually went to a nursery in Horley – 30 minutes drive from home! When our second daughter was born 16 months later, my husband stopped working and became a full-time dad. We worked out that his salary was more or less equal to two nursery places or a full-time nanny – if not less. One nanny we interviewed wanted £25k salary plus car! So we ended up with role reversal in our house: me working, commuting, flying around the world and husband at home. I think our girls have actually grown up a little more confident because of this. I wouldn’t have let them clamber over things and do ‘risky’ things that dad let them do! When did you get the idea for KalliKids? The idea for KalliKids really germinated in February/March 2012. It was born out of frustration of spending hours looking for things for the kids to do and not being able to easily find things – and more importantly, trust that these clubs and people were any good. In March 2012 I did lots of research of what was out there – and crazily enough found no accreditation for children’s activities and no one single place to find everything. So I created it! 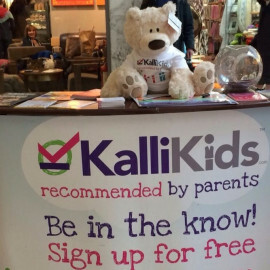 KalliKids helps parents to find children’s activities and places to go with their children that they can trust. We’re the only fully accredited service like this in the UK. On our website you can search for activities and places to go in your area, confident they’ve been recommended by other parents and checked out by us. You can also sign up for our monthly newsletter and find out what’s going on near you, and what local offers and competitions are available. What makes you different from other children’s activities directories? We are not just a directory! We are THE industry accreditation and the best place for parents to find great activities and services. Parents can save time and money – lots of our accredited organisations offer freebies and money off discounts and we send these to parents each month in our newsletter. Other organisations may list activity providers and ask them to sign up to a code of practice, but none of them properly check them out as we do. How do you check your childcare providers? We ask for recommendations from three separate parents from each new provider. We then call the parents to check references and follow up with written confirmation. This gives us a really good picture of what the activity or service is really like, and we know that those recommendations are not made up – they are genuine. We also ask proof of all qualifications claimed on their KalliKids profile. So if a piano teacher says he is from the Royal College of Music, has a PGCE, a DBS and First Aid, we say, “Prove it”! We do that little bit of checking on behalf of parents. What benefits are there for providers in joining? Many! We offer our providers an easy way to reach parents, and show them they’re a business they can trust. We also have a number of services and tools to help our providers promote and grow their businesses. 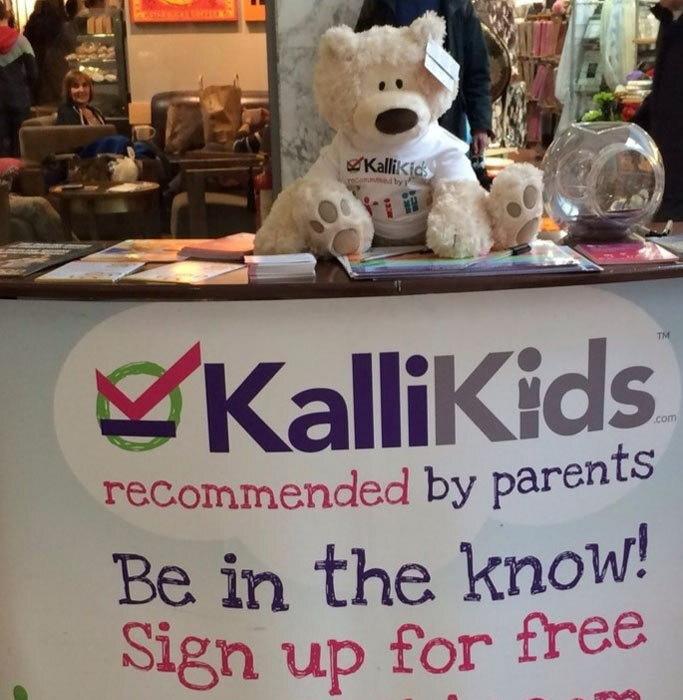 Gaining the KalliKids tick of approval demonstrates your credibility to parents – giving them reassurance that it is worth picking up the phone to book with you and to spend their hard earned cash on your business. How many providers and parents are signed up? We’re really proud to say we have over 1,000 providers now. Over 11,000 parents get the offers via our newsletter and we have over 23,000 social media followers. One of our many proud moments was hitting over 1 million page views since launch- we’re now at well over 1.1 million! What’s your vision for KalliKids? To be the first place parents look for activities and place to go for their family across the UK – to be the name that parents trust. We’re run by parents for parents, and we’re on your side. What’s been your biggest business challenge to date? It is really quite hard to say as every day there are many challenges, big and small. Maybe the hardest thing is prioritising. The team and I have more ideas than we can possibly do. I truly wish I could be like Maggie Thatcher as she only slept three hours a night. That would give me five to six hours extra every day which would be fabulous! There are so, so many it is hard to choose. In terms of milestones, they include the first payment from a customer we received, when we went live, when we achieved 100 accredited providers, when we hit 1million page views, when we hit 20,000 social media followers… and so many more! In terms of the more emotional ride: every time one of the team achieves something she has been striving for, every time a parent says, “That’s amazing, why has no-one done this accreditation before?” or every time an accredited provider sends us a lovely comment and thank you. What tips do you have for other aspiring business mums? Get a really good support network around you. For the days that things don’t go well, have people who understand and who care. When you do your business plan, get it to where you think it is reasonable. Then, double your costs and half your income in that plan. Prepare for that being reality as for most new businesses it will be! Don’t give up. If you believe in what you are doing then you need to be tenacious. Don’t fall at the first, second or even 30th obstacle – find a way round them all.